Christmas is the time of gifts like no other time of the year. 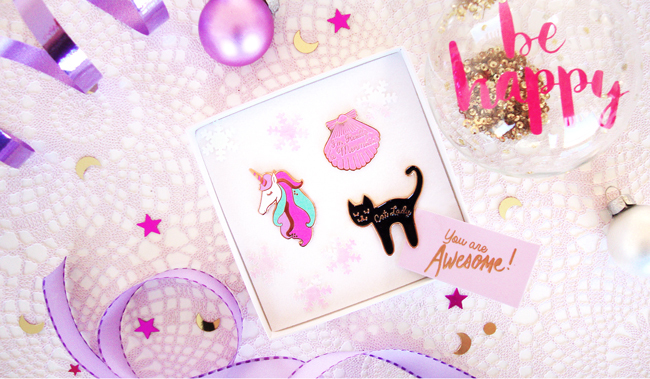 To get that Secret Santa feeling, I prepared a lot of giveaways for you and today we start with one of my favourites: Enamel pins have been my great addiction this year and therefore I thought you might be delighted having this magical pin lover gift box from independent British label "I Love Crafty" under your tree. 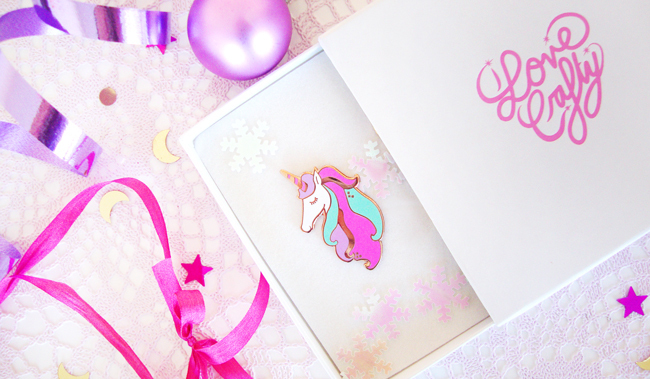 The box contains a mermaid pink shell pin, a cat lady pin and a unicorn pin, all three a great addition (or start) to any pin collection. Isn't this set just utterly darling? Just follow the instructions in the Rafflecopter below to make your pink dreams come true or shop the box set here as a gift for your cute friends (or for your own). The giveaway is open worldwide and ends on the 22nd of December 2016, midnight CET. Good luck and a happy pre-Christmas season! Have a look at the extra options in the Rafflecopter for bonus entries. Lovely giveaway! I've been buying lots of beauty gifts, knitwear, and Star Wars goodies for my friends and family this year. On a tight budget this Christmas so I'm really torn with what to buy that is not too shabby. I got a friend a knife because he likes cooking - hope he doesn't think it's too sinister! I've got people really thoughtful presents this year, I'm chuffed with myself! What a fantastic giveaway Sara! I am obsessed with pins so this would be amazing to win! I am getting my grandchildren Playmobil sets and some books. My daughter is getting different high end beauty products and my son loves books. My husband is getting some jerky, pistachios and books. Wonderful giveaway!! Everyone says I'm awkward to buy for because I like surprises, I'm a big kid like that!! I have no idea what to get anyone for Christmas yet... still waiting for the bolt of inspiration. I'm hoping to make truffles and chutney for gifts if I organise my time! Lovely giveaway. I got my mom some nice candles from Yankee Candle this year. I got my brothers a matching Axe for Men grooming gift set. My pets each have their own stocking filled with toys, cat nip and treats. I am still adding to the stockings. P.S..I love those pins! They are just adorable!! This is like the best giveaway ever, Sara. I can't imagine what else you have in store! I would Love to Share this wonderful pin's with my goddaughter and Friends of mine. A little bit of dreamy things to make People have a smile on there faces. I'm on a pretty tight budget, so I've been hand making Christmas cards for family. I don't really get gifts (to give or receive) I just enjoy spending time with friends and family. This would make a super cute present to get though! 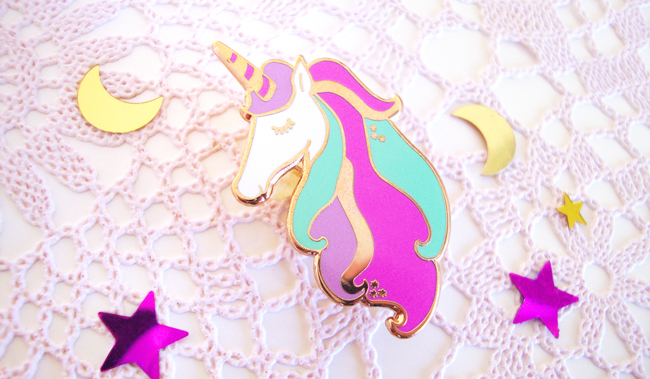 Such cute pins! I'm a year round gifter, honestly. 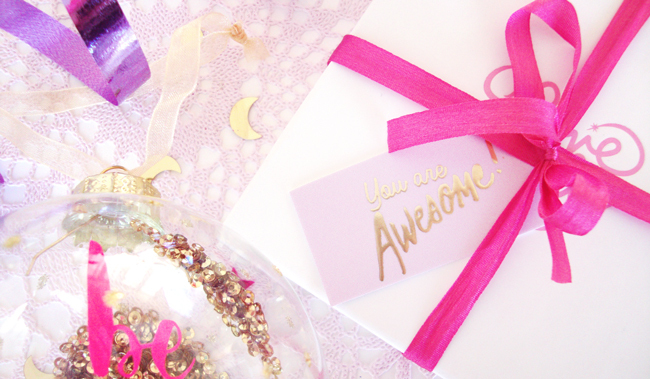 I love stumbling across something for a friend and then giving it to them any time because it's so unexpected! I enjoy the spontaneity. 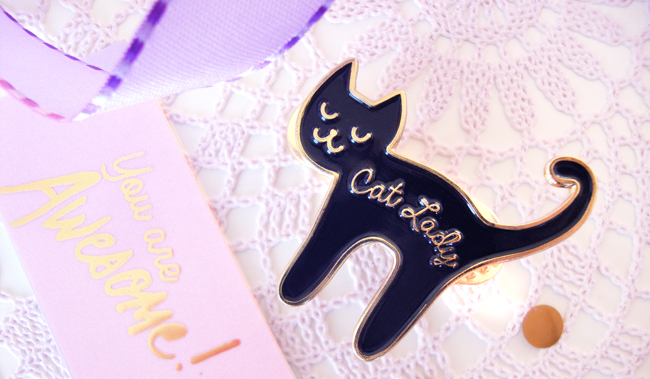 And I know someone who would love that cat pin!!! Super cute pins! I was on a tight budget so diyed most of my gifts. I think they turned out well, but I'm always worried people won't like them after so much time went into them. 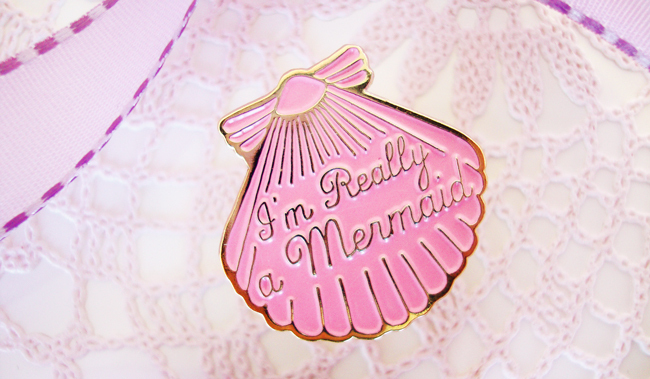 These pins are the cutest!